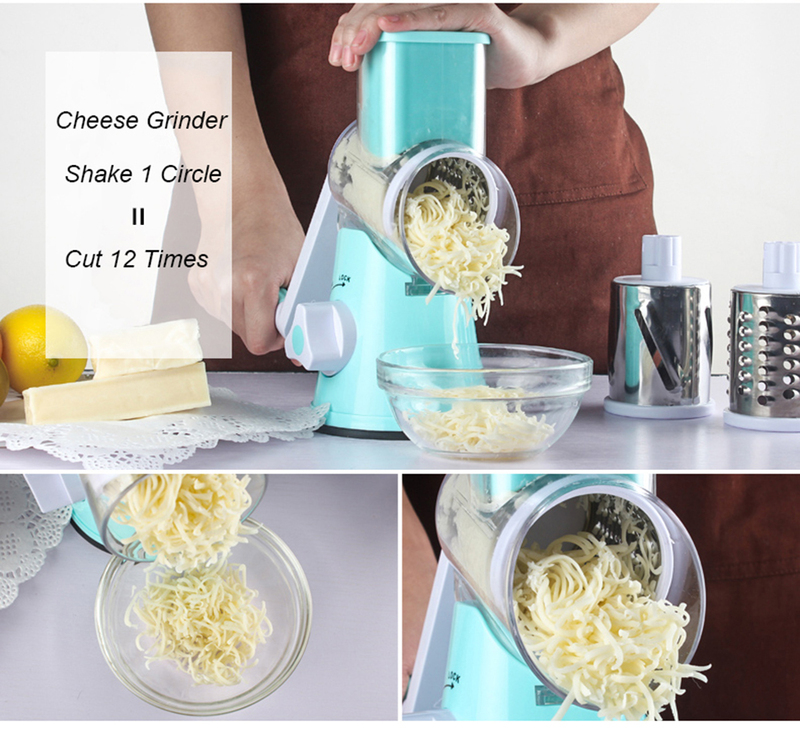 This amazing multi-function kitchen tool can chop, slice, grate, and even spiral slice: all this in one tool! 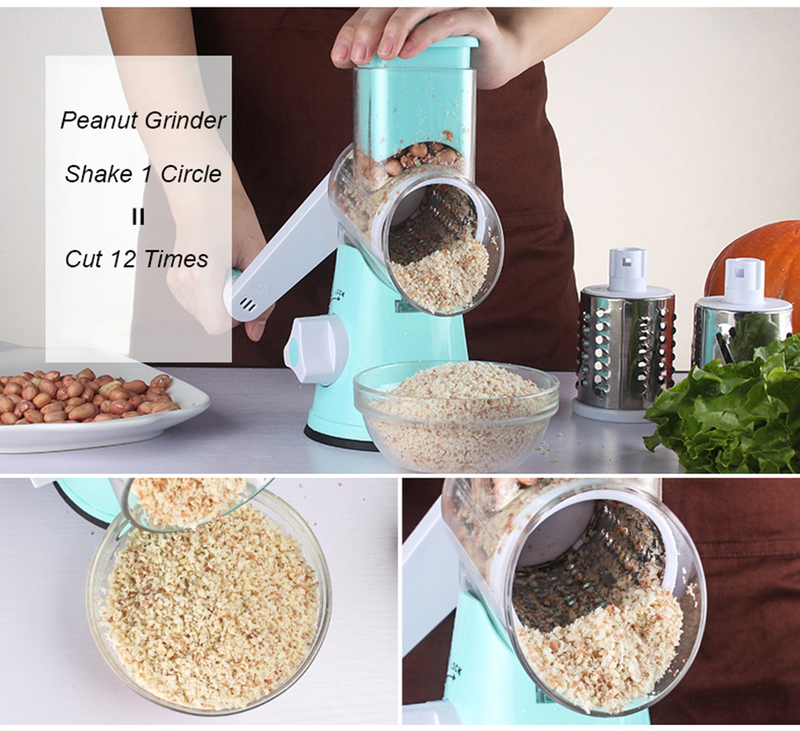 The simple but ingenious mill design adapted for kitchen slicing makes chopping, slicing, and grating extra fast, and as easy as simply turning the handle. - High efficiency 1 rotation equals to 12 times cut . 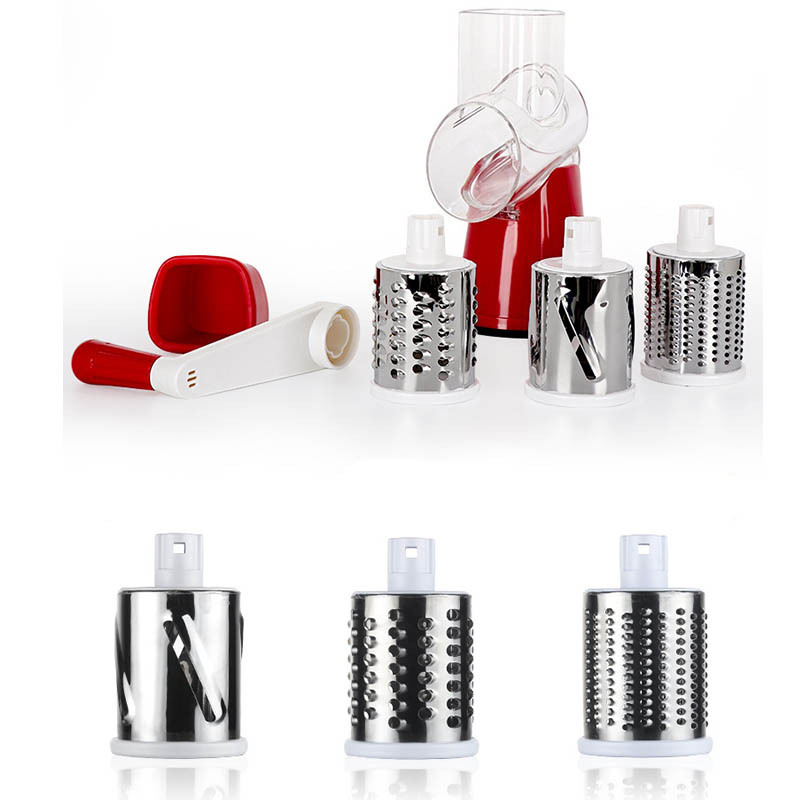 - Features 3 different types of stainless steel blades for variety of slicing & cutting. 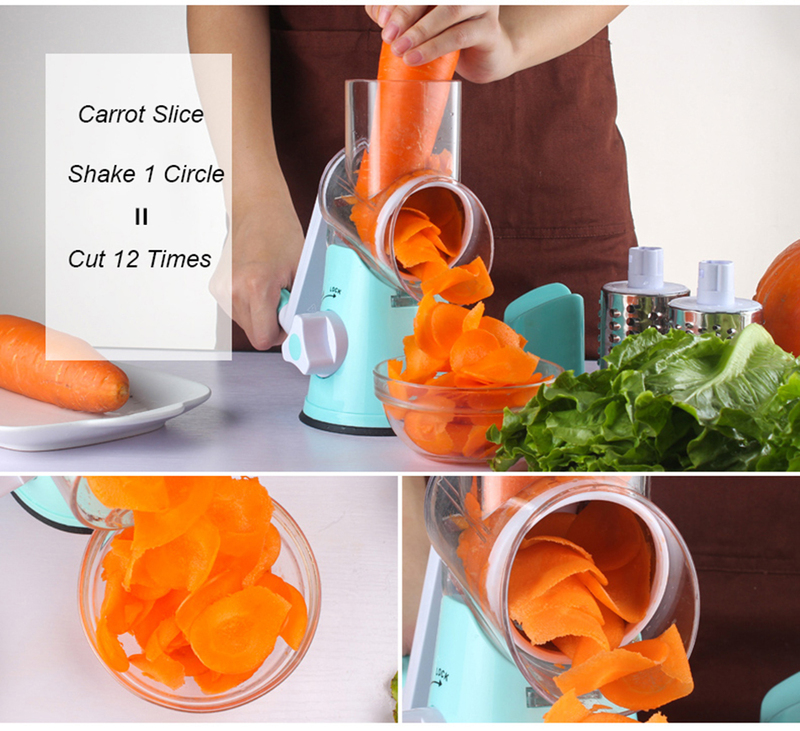 - Keep your hand away from the food, Safe to cut vegetable to make slice and julienne. 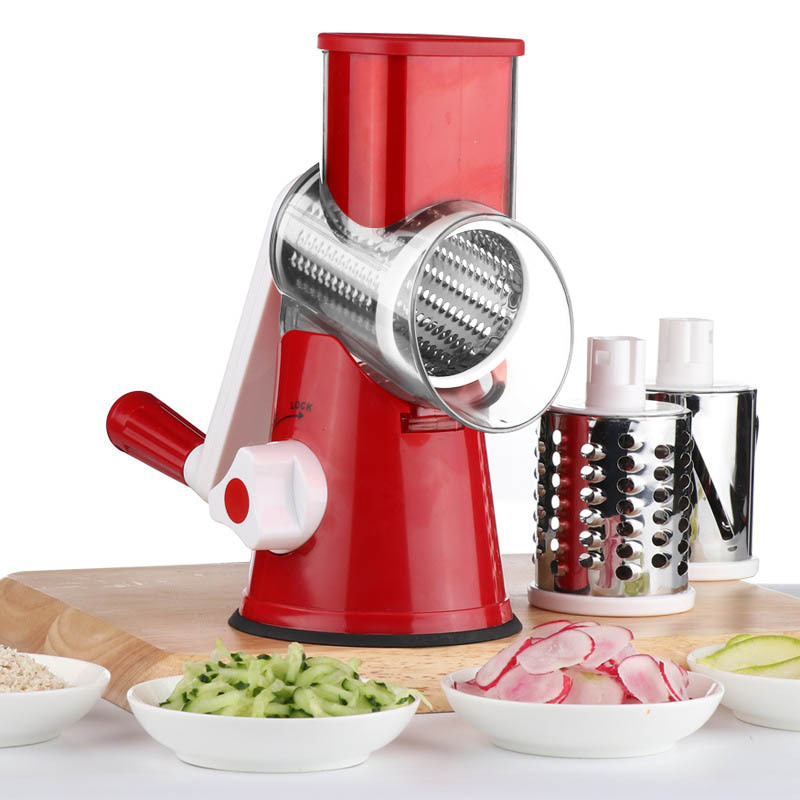 - Strong sharp stainless steel blades makes it easy to cut vegetables and fruits and will last for years.